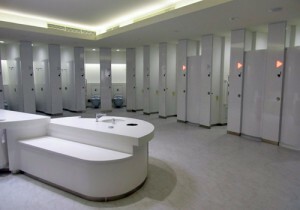 Toilet in Japan ~Part2~ - Here, we update the latest information from Japan!! Not only are the visitors from overseas surprised at Japan’s high technology, but they are also amazed at Japan’s clean toilets. That’s because Japanese people always think, “To clean toilets is the same as to clean our minds” in their minds. 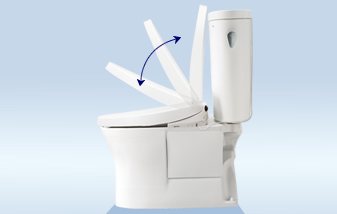 Japanese engineers try hard to make the toilet products with functions of antibacterial and deodorizing effects. I bet nobody overseas would believe this but the song called, “Toilet no Kamisama” (God in the Toilet) released in 2011, became a big hit in Japan. 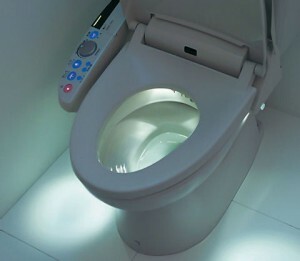 When you have a chance to visit Japan, give a try to the full-course toilet!